Versions: Recorded with Access 2013. Also use with 2007 and 2010. Access 2003 users should get Access 308 for the lessons on importing, and Access 302 for the lessons on the order entry system. Pre-Requisites: Access Expert Level 21 strongly recommended. This class builds upon the order entry system developed in the earlier classes. 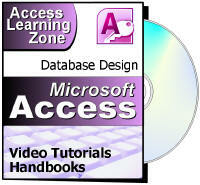 Access Expert 1 through Expert 8 are strongly recommended. Today's class only has three lessons, but they're good, long ones. We will begin by learning how to fix non-relational data. This happens when someone sends you a spreadsheet and you've got, for example, customers and order info all packed into the same flat-file sheet. I'll show you how to split it up and put customers in the customer table and orders in an order table, as it should be. Finally, we'll fix our order entry system. The problem is that our order entry system is currently tied into the product table, so any changes to the price of a product are reflected in your orders! This is very bad, and we've talked about this before. 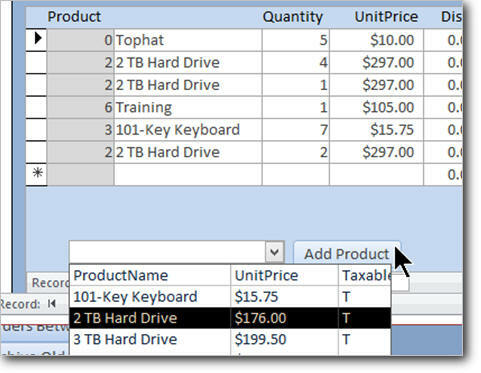 So in this class I'll show you how to make a button macro to copy the price information from the product table and set it in the order detail table so the orders are completely separate from the products. We'll build an embedded button macro from scratch for the first time. This is the 22nd class in the Access Expert series. There are a lot of good, practical examples of how to use the import techniques of the previous few classes in this one - plus a lot more. Of course, if you have any questions about whether or not this class is for you, please contact me.